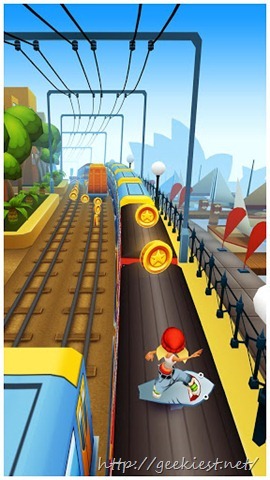 Subway surfers is one of the most popular Free games in the app store. 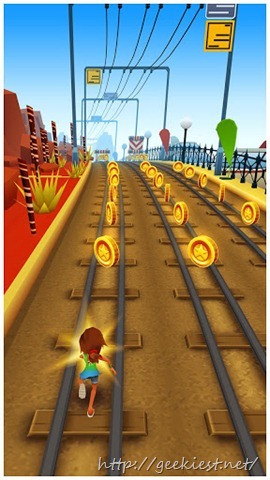 In this game, the user run along a set of subway track as long a they can and picking coins and other items. Throughout the game its very gripping because you have to make sure you are concentrating when playing. 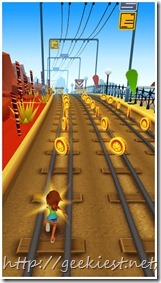 You should be alerted all time, otherwise different types of obstacles will take you down for sure! * Colorful and Amazing 3D graphics. * Collect the coins to unlock more items. * Hover Board surfing, jumping sneaker. 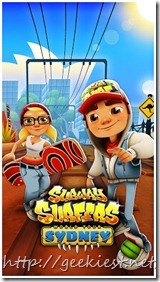 * You can share your score on social networks and challenge your friends to break your record. * Can play online or offline. * Requires Android 2.3.3 and up. 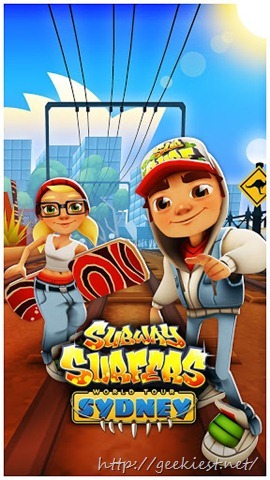 In conclusion this game is similar to temple run, but the with this game you are able to share your score with your Facebook friends. And the more you play the game the faster the speed goes allowing the user to feel the pace of the game. Also by collecting more coins user can purchase more items like characters and other items. 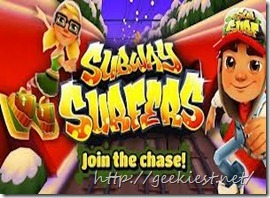 Overall Subway surfer is a good game to play when you are boring or just chilling with your mates. You can download and enjoy this game from Google Play Store for free.